Here starts my thought about VMware Community programs and the growth of my knowledge by the interactions with many friends that, like me, are sharing passions, experiences and many cool staffs. 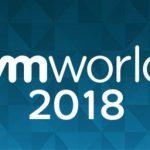 Please don’t ask me how to become a vExpert or how to win a VMworld ticket, I just want to share my experiences between life and work. Let’s start telling that vExpert doesn’t mean studying or working a lot, but the real essence of vExpert is share your knowledge and help the community in various manners: sharing cases, finding solutions and improve your knowledge following and writing blog. Also helping vmug could be a real cool community involvement. Another suggest: be social! Use all the social media like twitter and linkedIn to share and follow and be followed. Some buzz could be very attractive to other professional people, specially when IT scenario is changing (like the rise of containers). One of the coolest part of my life was starting deploying vSphere 4.0. My ex-colleague didn’t believe in this technology, but when I showed how could move VMs from a physical host to another and how to implement HA for linux os without complex configurations, he was very impressed… So he ask me if I’d like to learn more and being certified. Obviously I accepted! 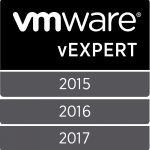 After the first course and the first certification exam I met Italian VMware Users Group ( http://www.vmug.it )… Yes! Through social media I realize that in Italy a group of Virtualization Experts founded a User Group and from that perspective and this group give an important chance connecting people and growing your expertise. During company transformation I realize that virtual datacenter is a staring point for SDDC, Cloud IaaS and End User Computing. But after seeing vCloud Director I found a new way to grow the approach for a cloud application: deliver a IaaS through one or more vCenter. 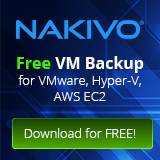 I catch VCP-Cloud certification but my boss didn’t believe to the strategy. Could we lost a train? Yes! Of course; many italian companies are now a vCloud Director veteran and are growing their business and cloud application using the logical aggregations by vCenter. This was the end of “Silo era”. But Italian holding loves vintage way in IT (cultural problem insight). Meetings, workshops and comparisons were not able to change management mind. In the 2013 I failed twice VCAP certification. Let’s say why? Because this was not my time! During a company merge, where I was busy for saving my work place (merged people were trying to stole my job without success), my brain was not able to pass this hard exam. 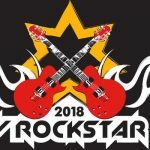 Following experts and vExperts like Andrea Mauro, Giuseppe Guglielmetti, Alessandro Musacchio and Fabio Camanzi ( and many others!!! ) I found my lacks and where always my point of view were wrong: <<You should know all about your infrastructure either your aren’t a network or storage engineer >>. Thanks to VMUGIT I’m getting a great opportunity to grow-up knowledge and share this though with community: now I’m really feeling what I was misunderstanding in that exam. The lesson: mistakes are a great opportunity to redefine yourself and change the route of your knowledge before making bigger mistakes. 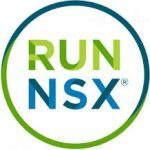 Actually I’m not a VCAP-DCD, because my study path changed to NSX study, but after it this yet my challenge! and finally: your time to present! For me VMUG is a great opportunity to share and help community to grow with virtualization technology. 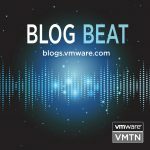 But the really coolest thing is to be recognized as a vmug board member from the entire community and share share share all your though about virtualization technology. After my first steps in community through vmug meetings and blog post and VMTN activities (like share and answer to community questions), on the 24/8/2016 Corey Romero sent annunced my vExpert recognition. 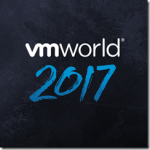 The really news comes these days with another Corey e-mail with this subject: VMworld 2016 Barcelona Blogger Pass – YOU’RE GOING! I’m really happy for this news!!! And the most important thing is that my family fully agree with this and “may the force be with me”! Let’s see what happens in next posts… k.i.t. My inspiration comes from my family: my wife and my daughter that supports me in every crazy things like study and improve my skills. 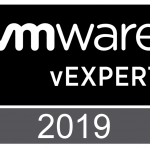 They believe in me, in my work and in my visions… I just want to say a big thanks and apologize if sometimes I’m going away from home to meet vendors and experts and vmug. I love you! Hope I don’t forget anyone… if so please let me know.